Does your little guy or girl have big dreams of spending time in space? Maybe they want to walk on the moon or even Mars when they grow up? 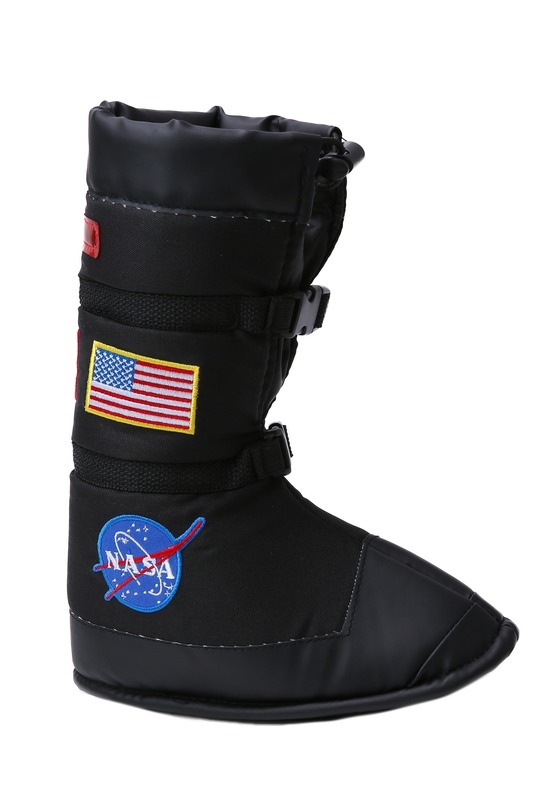 Add this pair of Kids Black Astronaut Boots to his or her dress-up drawer or add them to an outer space costume. They will feel like they are ready to launch into space whenever they're wearing them. They will be excited to start an interstellar mission, while you'll be excited to have a little astronaut in training stomping around the house! 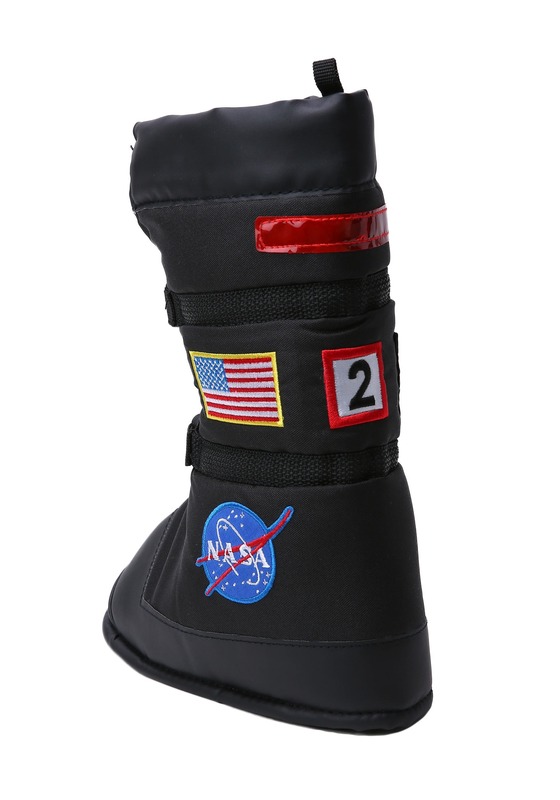 Your little one will feel like they are on the moon. 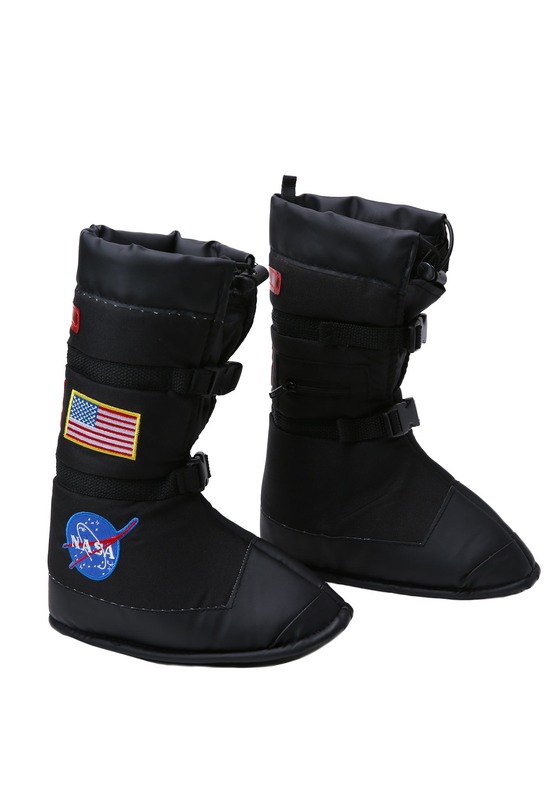 The black astronaut boots feature 2 length adjustable web straps with parachute buckles and drawstrings. 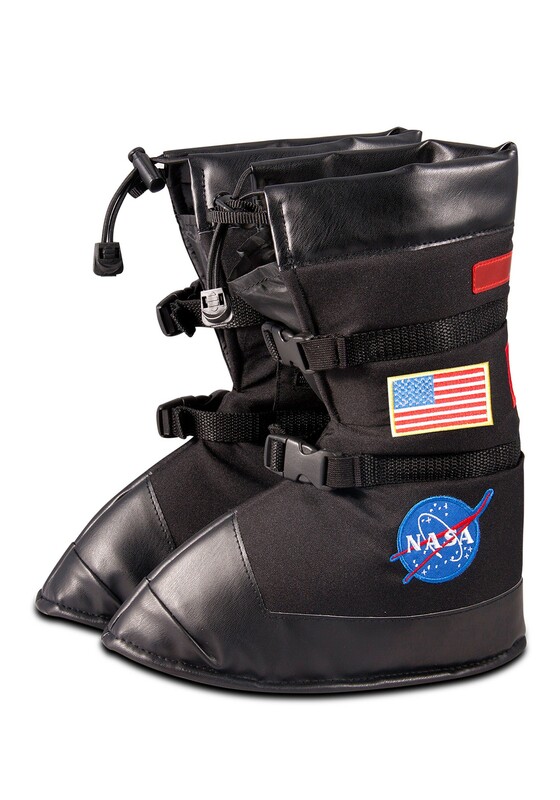 They are closest thing you will get to a real life astronaut's outfit. They even have an embroidered U.S flag and a NASA patch. Dream big little ones, dream big!